I picked these up from my local farm shop today and had them on toast. This was the first time I’d tried duck eggs and most certainly won’t be the last – they are absolutely delicious. 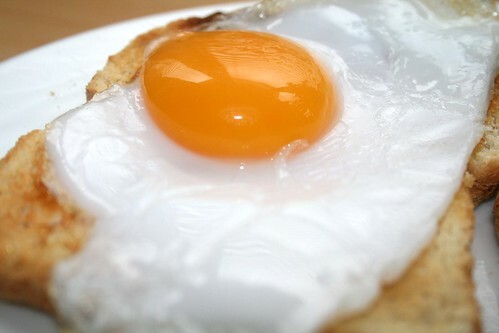 They taste richer and ‘eggier’ then hen eggs, and the yolk is larger and more yellow with a creamier taste. 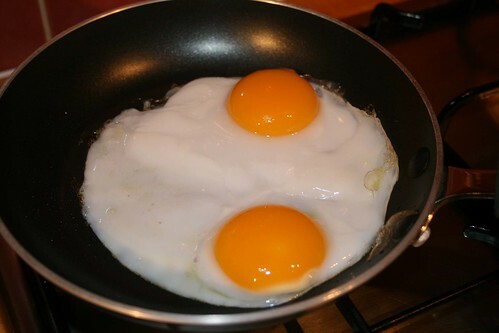 You can use them exactly as you would hen eggs but you should account for the larger yolk in recipes. Also, they contain less water than hen eggs so are more gelatinous with a risk of turning rubbery quicker than hen eggs so be careful not to over-cook them. I do urge you to try them; you won’t be disappointed. I'm one of those you mentioned in your current post who is squeamish about duck's eggs! 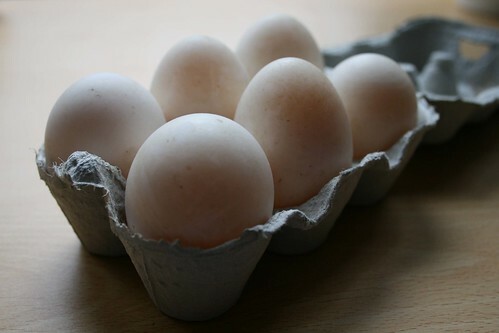 Well, perhaps not so much now; but when I was seven and reading Jane Eyre aloud to my mother as we baked a chocolate cake, I was stunned when she pulled out a gigantic egg to put in the cake and I learned that it was from one of our two pet ducks. I couldn't eat that cake! Even now, if you see a cake recipe on my blog, you may rest assured the eggs called for are ordinary, everyday chicken eggs!